(File) President Muhammadu Buhari speaks during a meeting at the State House in Abuja on November 2, 2018. President Muhammadu Buhari has declared a state of emergency on the nation’s water supply, sanitation and hygiene sector. He explained that the declaration became imperative to reduce the high-prevalence of water-borne diseases in different parts of the country, which has caused preventable deaths. The President stated this while inaugurating the National Action Plan for Revitalisation of Water Supply, Sanitation and Hygiene (WASH) Sector at State House Conference Centre in Abuja on Thursday. He directed government at all levels to redouble efforts and work towards meeting the nation’s water supply and sanitation needs. “This cannot be achieved if we continue with ‘a business as usual’ approach. It is on this premise that I fully endorse the decision taken at the meeting of the Federal Executive Council in April this year to declare ‘a State of Emergency on our WASH Sector,” he added. President Buhari said statistics on open defecation, access to piped water services and sanitation in the country was disturbing. He, however, warned that henceforth, the Federal Government support to state governments would be based on their commitment to implement the National WASH Action Plan in their respective states and to end open defecation by 2025. 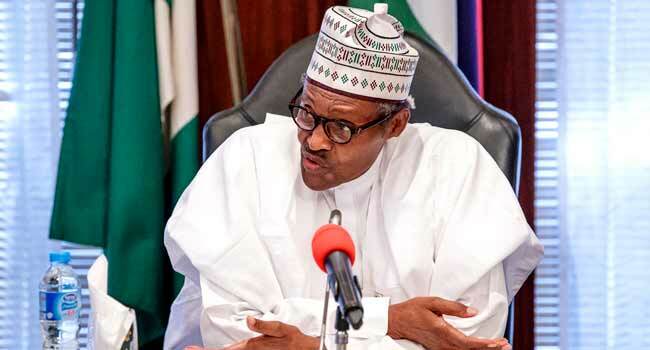 “Access to piped water services which was 32 per cent in 1990 has declined to seven per cent in 2015; access to improved sanitation has also decreased from 38 per cent in 1990 to 29 per cent in 2015,” the President was quoted as saying in a statement by his media adviser, Mr Femi Adesina. 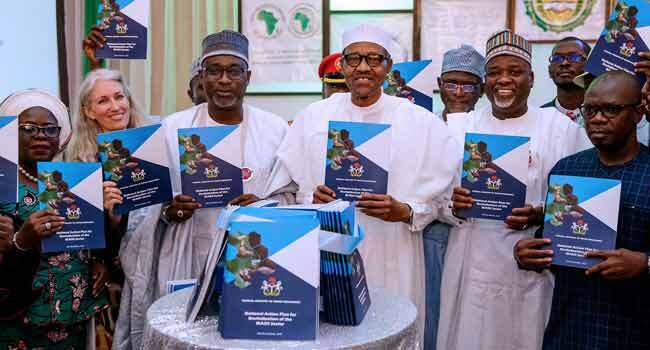 President Muhammadu Buhari at the launching of the National Action Plan for Revitalisation of the Water Supply, Sanitation and Hygiene (WASH) Sector at the State House in Abuja on November 8, 2018. President Buhari also seized the opportunity to reiterate that the provision of potable water supply, adequate sanitation and hygiene were primarily the responsibilities of state and local governments. “However, these are not being given the required attention judging from the high prevalence of water-borne diseases that are being reported in different parts of the country,” he said. The President told the gathering that he was aware that Nigeria did not meet the MDG targets for Water Supply and Sanitation that ended in 2015. “I call on all state governments to complement this effort by according the sector similar recognition to enable us to work together to achieve the SDG targets for WASH by 2030,” he said. At the Federal level, President Buhari pledged that his administration would continue to place priority on infrastructure development, including those of water supply, sanitation and hygiene services towards ensuring a better life for Nigerians. “From the inception of this administration, we have demonstrated a serious commitment to the development of the Water Sector by preserving the Ministry of Water Resources and subsequently approving the 15-year roadmap developed for the sector,” the President revealed.